The quote to be attributed to Mr Siddhartha Lal - MD & CEO Eicher Motors Ltd.
Royal Enfield, the fastest growing motorcycle brand in the world, today launched the Himalayan—a motorcycle purpose-built for adventure and touring in the Himalayas. Bringing together 60 years of Himalayan riding experiences in a completely ground-up design, and powered by a new LS 410 engine, the Royal Enfield Himalayan paves the way for a purer, non-extreme and more accessible form of adventure touring in India. In fact, its extremely capable offroad capabilities make it adept for riding though potholed urban jungles as it does for treacherous mountain trails. 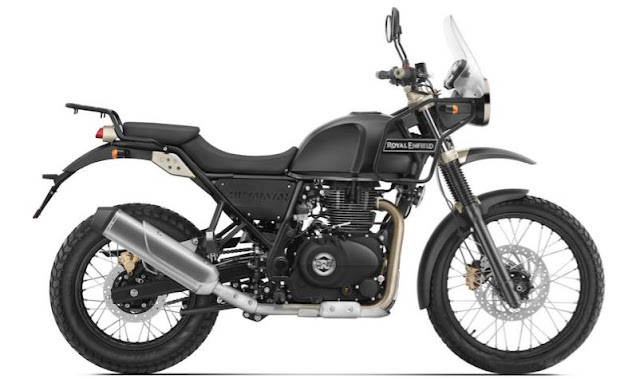 One of the most anticipated motorcycles of 2016, Royal Enfield Himalayan is available in two signature colour options—Granite and Snow and is open for bookings across all Royal Enfield dealerships across the country in a phased manner. “Functionally - the Himalayan’s non-intimidating spartan design, a flat torque curve, accessible seat height and long suspension travel alongside the ease of ownership, make the Himalayan is an extremely versatile motorcycle that is adept for long rides while equally being the definitive choice to navigate our urban jungles. Towards creating and growing a new segment which offers an option for adventure loving motorcycling enthusiasts we are offering the new Himalayan at a price of Rs. 155,545 (Ex-showroom) in Maharashtra and Rs. 178,872 (on-road) in Mumbai” , Rudy added. Royal Enfield has also launched meticulously designed, purpose-built protective riding gear that caters to the long range tourer travelling to unpredictable places, terrains and climates. The protective gear range includes the 4-season Royal Enfield Darcha riding suit made in collaboration with REV’IT; versatile touring jackets and trousers with Cordura, protective armour, removable thermal liners and breathable waterproof lining. The collection also has riding gloves, riding trousers and riding boots.